Next up for our PACK EXPO Booth Previews is the Sanitary Display. The Sanitary Display features Dorner’s AquaPruf VBT, a sanitary vertical belt conveyor designed for elevating bulk product. The VBT features an open frame and tool-less design for fast and easy cleaning and access to the entire conveyor. The staggered sidewall belt also provides increased pocket capacity and reduces product loss. Dorner’s Spiral Chutes gently and economically lower products from high elevations such as overhead conveyors, mezzanines or platforms. They are capable of handling a variety of lightweight packages including cardboard, pouches, flexible packaging and corrugated boxes. The patented stair step design helps ensure that products won’t get stuck, even when accumulated. Spiral Chutes are available in angles from 90 degrees to 450 degrees in 90-degree increments. Finally, the display features the AquaGard 7350 Series, Dorner’s recently redesigned sanitary conveyor for dry, wipe down and wet environments. Stay tuned next week for more information on Dorner’s 7350 Series Conveyors! 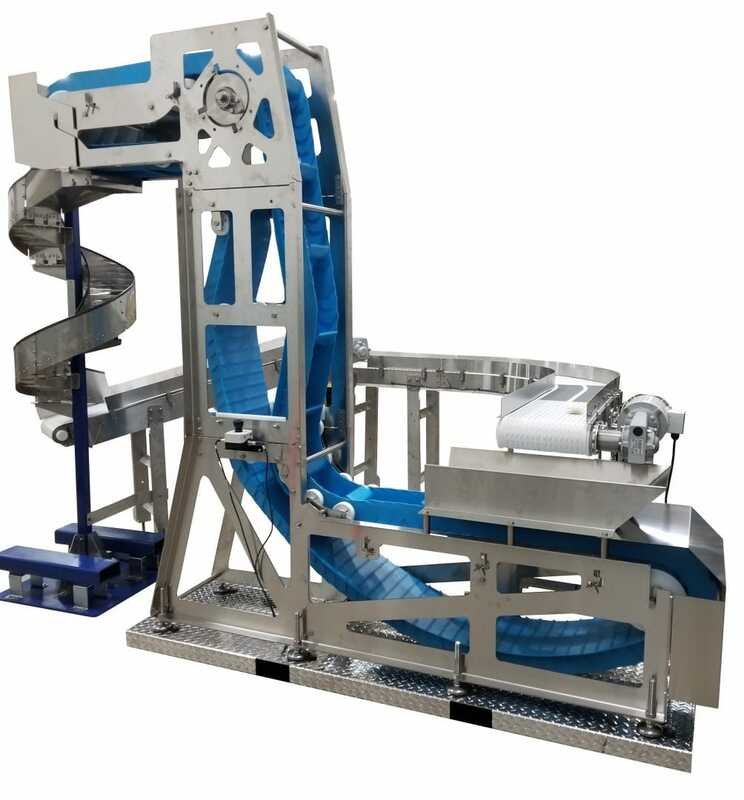 Stop by Booth N-4936 October 14-17 to see these conveyors in person! CLICK HERE if you still need to add Dorner to your show schedule.